Baha’u’llah, the prophet and founder of the Baha’i Faith, created a worldwide religion. His teachings have spread to virtually every country on the Earth. Known globally for the Baha’i Faith’s strong emphasis on the oneness of humanity and the eradication of all prejudice, Baha’u’llah made clear that racial unity forms one of the central principles of the Baha’i teachings. However, Baha’u’llah is not yet well-known in the world for his work against the institution of slavery – but that could soon change. The renowned scholar Nader Saiedi teaches in UCLA’s Department of Near Eastern Languages and Cultures, where he serves as the Taslimi Foundation Professor of Baha’i Studies. With his permission, I am happy to announce that, in 2013, Professor Saiedi discovered, in the Baha’i World Centre archives in Haifa, Israel, a tablet by Baha’u’llah, evidently addressed to one of his father’s household servants, although this tablet does not state a specific date or addressee. Professor Saiedi thinks this Tablet could well have been intended for none other than Isfandiyar, the slave held by Baha’u’llah’s father and then freed by Baha’u’llah. An equally strong likelihood exists – that Baha’u’llah wrote this historically significant tablet at a very early date, in the “pre-Babi era” (i.e. prior to May 22, 1844). If so, this tablet could be one of the earliest surviving writings of Baha’u’llah — and one of the world’s earliest emancipation proclamations. In a tone remarkable for its humility, Baha’u’llah respectfully addresses Isfandiyar in the tablet, stating that, since all humans are symbolically slaves — “owned” (mamluk) of God — therefore no person can be the owner of another human being. Baha’u’llah further states that he himself cannot be the owner of any one, and this is why Baha’u’llah had set Isfandiyar free. This is the very same reasoning that Baha’u’llah gives in the 1873 passage where he outlaws slavery in His Most Holy Book, the Kitab-i-Aqdas. Baha’u’llah’s anti-slavery views may be traced all the way back to 1839 (if not before), when Baha’u’llah liberated the household slaves owned by his father, Mirza Buzurg. While slavery as an institution had prevailed for thousands of years, progressive religious groups like the Quakers, Enlightenment thinkers and democratic philosophers began to question its humanity and work on abolishing it as early as the 17th and 18th Centuries – and even earlier, in some cases. On August 1, 1834, the British officially abolished slavery throughout most of their Empire, when “An Act for the Abolition of Slavery throughout the British Colonies” went into force. Previous legislation included the Slave Trade Act of 1807 and the Slave Trade Act 1824. Those acts first banned slave-trading, which preceded the later ban on the actual ownership of slaves. 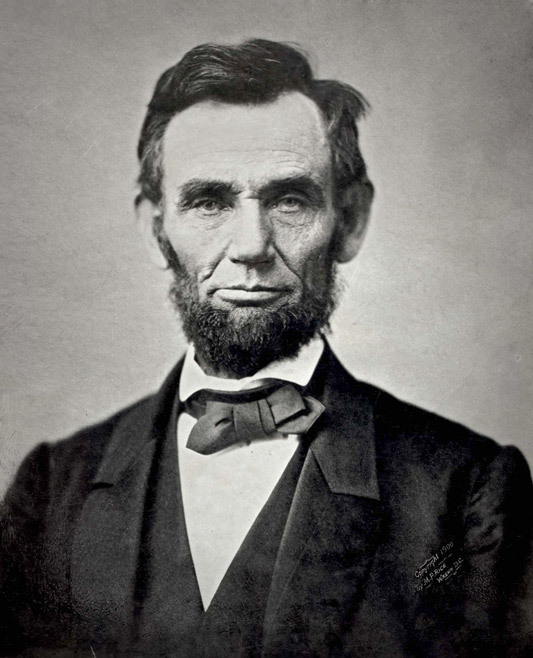 On January 1, 1863, Abraham Lincoln’s historic Emancipation Proclamation took effect. Then, in 1873, Baha’u’llah promulgated what may be characterized as a “Universal Emancipation Proclamation,” announcing the Baha’i ban on slavery worldwide. This unique religious law, given to humanity by the prophet and founder of the newest global Faith, took a courageous stand against human ownership and oppression. It outlawed slavery — the economic basis of many of the world’s societies at the time — by calling on all humanity to see each other as equals, and by asserting the organic oneness of the entire human race. Farhad: Baha’u’llah revealed the Tablet to the Americas in Akka (after August 1868). On Good Friday, April 14, 1865, Lincoln was assassinated. 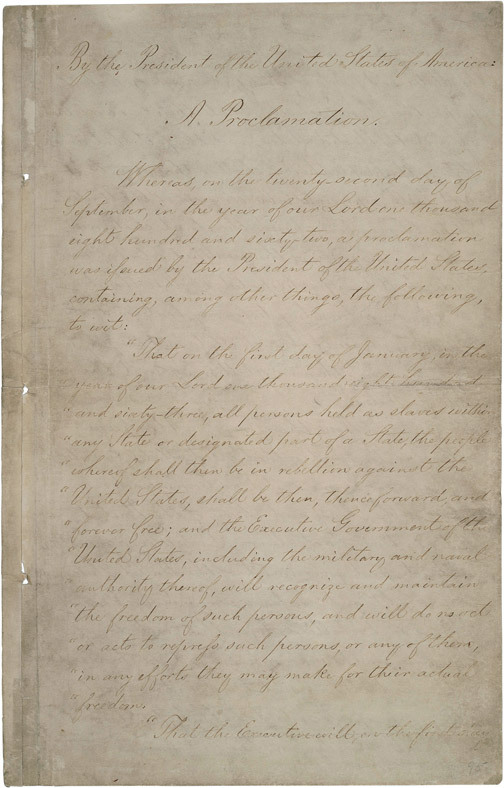 On December 18, 1865, Congress passed the Thirteenth Amendment to the U.S. Constitution, which freed slaves nationally, as part of what some legal scholars call the “Second Constitution.” So, no, Baha’u’llah did not write to Lincoln about abolishing slavery, because this would have been “after the fact.” But Baha’u’llah did write: “Bind ye the broken with the hands of justice, and crush the oppressor who flourisheth with the rod of the commandments of your Lord, the Ordainer, the ...All-Wise.” Abolition of slavery is not freedom from all oppression. So Baha’u’llah’s message was timely. Is there any authoritative source indicating that when Baha'u'llah addressed rulers of the world, He also wrote to Abraham Lincoln about abolishing slavery? 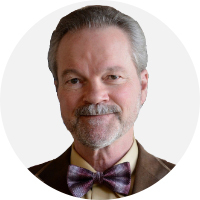 Fantastic series, Dr. Buck. Thank you, and thanks to all the others whose efforts contributed to this project.